You've found the perfect leather journal for a friend's birthday, a wedding, an anniversary, a keen traveler or even a present just to say thank you. At Pen Heaven we're delighted to offer a bespoke embossing service to make your journal or notebook a cherished gift for years to come. We use a hand operated embossing machine that utlises heat and pressure to create an impression in the leather. 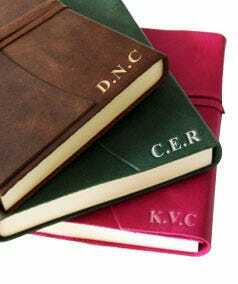 Most of our leather and faux-leather products can be embossed including; journals, wallets, pen cases, personal organisers. 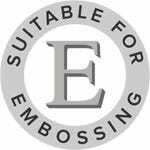 Look out for the 'suitable for embossing badge'. Typically it is in the lower right hand corner. Please check the embossing preview on each individual product for a more precise position. If you would like to discuss alternative embossing message positionings or want some friendly advice, call our expert customer services team on 0208 731 8610. We can emboss logos on most of our leather and faux-leather products. If your order value is over £250 there is no set up fee. 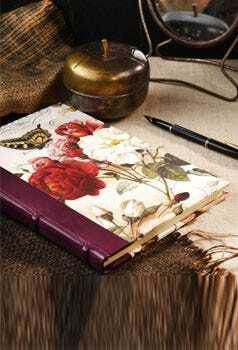 If you would like just a few journals with your logo, there is a set up fee of £50. Please call us on 0208 731 8610 for more info.